What Does Positive Equity Mean? Positive equity is the part of your home's value that is yours. 2. What Does Equity in Assets Mean? Positive equity relates to assets you own that are financed by loans. The term positive equity is most commonly used with real estate investments, but there are other asset types where positive or negative equity is a consideration. As part of your financial situation, positive equity is a component of your overall net worth. Positive equity refers to assets that are owned by financing loans. If you take out a loan for a purchase and secure the loan with an asset, the loan is referred to as asset secured. Inability to repay the loan means the loss of the asset that was used as security. 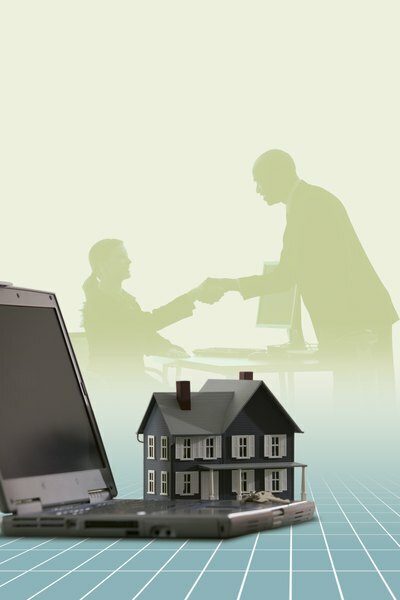 In the case of home and car loans, the home or car itself is the asset used for security. With this type of loan, the relationship between the asset's value and the loan balance defines your equity position. If the value of the asset is greater than the balance of the loan, you have positive equity. If the loan amount is greater than the asset is worth, the equity is negative. Both the lenders and borrowers always want to be in a position of positive equity since negative equity is an indicator of a serious financial problem. Homes and cars are the two most common types of asset-secured loans. If you have a home mortgage or car loan, you are in a position of positive or negative equity. If your house is worth more than the balance on your mortgage, you have positive equity. For example, if you buy a home for $400,000, with a 20 percent down payment of $80,000, you will immediately have $80,000 equity in your home. If over the next year you pay your mortgage and your home increases in value to $420,000, your equity would be $100,000, plus the amount of principal that was paid off during your year of mortgage payments. In the first year of a 30-year mortgage with a fixed 5% interest rate, that would be about $5800. Similarly, if the value of your car is greater than the loan balance, you have positive vehicle equity. You can get positive equity in several different ways. If you put up money as a down payment, some or all of the down payment money will give you immediate positive equity. When the asset increases in value, the positive equity grows. This is typically the major source of home equity – an increasing home value. Equity can also grow as the loan balance decreases. Car's purchased with credit are different than homes with mortgages since the value of most cars does not increase over time. Instead, the car is said to depreciate in value. The best way to avoid having negative equity in a car is to pay the loan down faster than the car depreciates. The positive equity you have in a home or car is your money and part of your net worth. It is the cash you would put in your pocket if the asset was sold and the loan paid off. Positive equity allows you to more easily make changes in your financial situation. Home equity allows you to refinance to a lower rate or to sell the home and use the equity as a down payment on a new home. Vehicle equity lets you trade for a new car without putting up cash as a down payment. Zillow: What is Negative Equity? Do Foreign Stock ETFs Take Advantage of the Falling Dollar? What Items Impact Stockholders' Equity? What Does Total Stockholders Equity Represent? What Are the Benefits of Long-Term Capital Gains?